Here are links to websites for some of the bird knowledge resources we keep contact with. You might find these contacts useful and rewarding too. Bird Forum A great international resource for sharing photos and information pertaining to bird watching. The Kangaroo Trail We can see up five different macropods on our tours. The more adventurous can follow a Big Red into the spectacular landscapes and big skies of the Outback. The Wallaroos that span the continent will lead you into the most spectacular wilderness through the gorges and ranges of the Great Divide, the Flinders Ranges, the Red Centre, Cape York, Arnhem Land, the Kimberley and the Pilbara. Here is an interactive map with fact sheets for different species and where to see them. Access to waste stabilisation ponds is to members of the public on completion of an online safety induction and online indemnity form. If you wish to visit this facility as part of a tour with us you will not need to obtain a key as we already have one. NOTE: Power and Water is not currently allowing any bird watchers in to the ponds for administration reasons, we can however, see many of these species by walking around the outside of the fenceline. Lloyd Nielsen is a Field ornithologist and bird researcher, the first Queenslander to receive the prestigious J.N. Hobbs Medal, awarded in 2014 by BirdLife Australia for outstanding amateur contributions to Australasian ornithology. 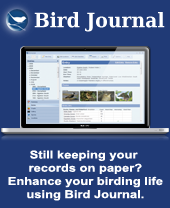 His website is a useful resource for local and overseas birders, especially for north Queensland. NT Birding Yahoo email group reporting rare or unusual bird sightings around Darwin and the NT. NT Birds Mike Reed's guide to birdwatching in the Top End. NT Field Naturalists Club Darwin hosts a number of agencies and world class scientists who undertake quality research into the Northern Territory's natural environments and ecology. We also have individuals who through years of dedicated observations and personal research have gained great insight into our natural world. Save the Gouldian Fund The Save The Gouldian Fund is a not-for-profit charity for the research and conservation of the Gouldian Finch, they conduct an annual Gouldian Finch Census at Wyndham, Western Australia. This site has some informative links to various studies on Gouldians. Top End Bird Finder Katherine birder and tour guide Mick Jerram's sightings. Wildcare NT A non-profit care and rescue organization in Darwin which provides a support network carers of sick and orphaned wildlife. The primary objective is to rehabilitate and release these animals back into their natural habitat and to raise community awareness concerning the care and conservation of native animals. There are tips for providing emergency first aid and contact numbers for expert carers. Wildiaries Wildlife experiences around Australia and the rest of the world. Booking.com Darwin Accommodation An online booking service providing access to 45 different accommodation places in Darwin. Blue Mountains Birding Website dedicated to birds and birding in and around the Blue Mountains, west of Sydney – a beautiful, surprising and diverse region which includes the sensational Capertee Valley by Carol Probets who is a professional bird guide. Sea Darwin Unique eco cruises in Darwin Harbour. The Sea Darwin Harbour Eco experience varies from day to day and season the season. Your crew will to use their local knowledge in using the tides, the weather and the season to showcase harbour activity. On each tour you will explore the unique diversity and dimension of Darwin Harbour, taking in the habitat, history and intrigue of what is happening on the day. Visitors will experience the sounds and sights of a city harbour abounding with contemporary interest, drenched in history and with an unparalleled tropical marine habitat. Cassowary House Rainforest birding and nature lodge near Cairns, Far North Queensland. Owned and operated by Phil and Sue Gregory. Cassowary Tours Day tours and short accommodated birding and nature tours in the Far North Queensland area. Ethical Adventure Ethical Adventures is a fusion of principles present in Responsible Tourism, EcoTourism & Social Action providing enjoyment, understanding and adventure whilst endeavouring to enhance the natural, social and cultural environment. Gecko Canoeing and Birding Mick Jerram's canoeing and adventure tours are an excellent opportunity to see birds in the Katherine area. Gondwana Guides Gondwana Guides specialises in bird watching tours in Lamington National Park, Brisbane, the Gold Coast, South-east Queensland and throughout Australia, New Zealand and Papua New Guinea, owned and operated by one of Australia's most experienced guides Barry Davies. Sicklebill Safaris Expert nature guiding in North Queensland and various overseas locations. SA Birding South Australian birding guide Peter Waanders. Kimberley Bird Watching Birding and nature tours in the north west of Australia with George Swann. Guided Birding Guided Birdwatching links to help travelling birders find birding guides worldwide. Wildlife Tourism Australia Wildlife tourism encompassing both free ranging and captive wildlife, including tours, fauna parks and zoos, national parks, eco-lodges and farm stays. Also other products and services such as wildlife art and photography, natural history museums, botanic gardens, nature travel publications, environmental consultancies which may be closely connected. Marie Holding Marie is an accomplished wildlife photographer and has some stunning images available for purchase on her website.